I am SO excited to share this post with you and I am SO excited to finally be back blogging again. 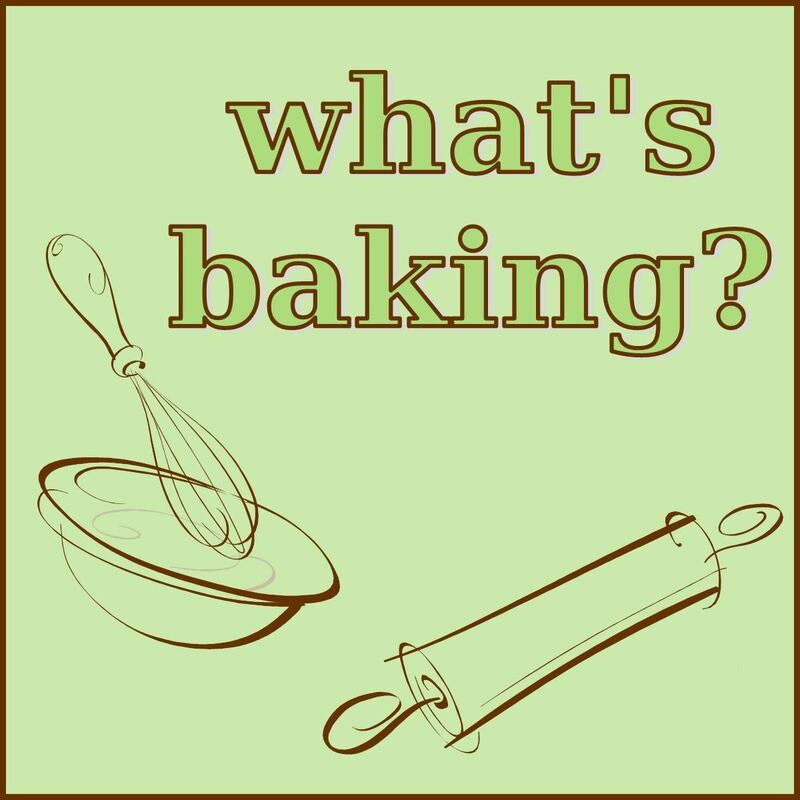 Without SRC and What’s Baking, I don’t think my blog would have seen a post this month. I needed some inspiration to get back at it. Thankfully, I got exactly what I needed and more. You see, my SRC assigned-blog was a little taste of home, which is always what the doctor orders. 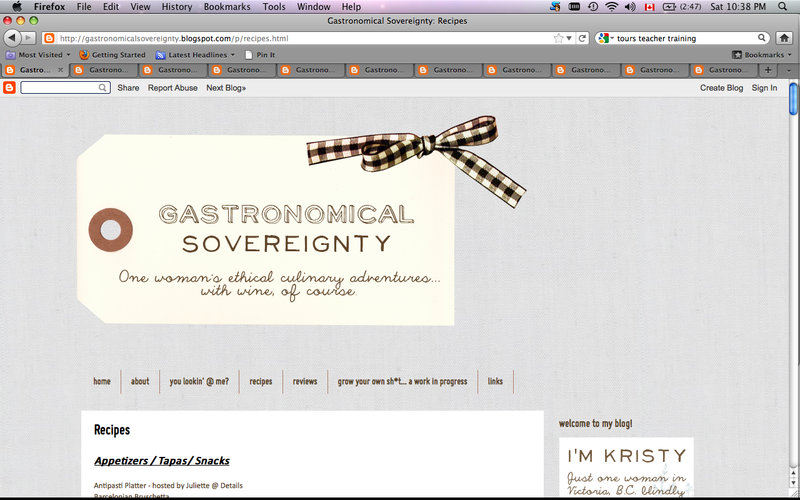 I was so thrilled to receive the blog Gastronomical Sovereignty and it was literally a little message for me to keep at it. You see, Kristy, the girl behind this FABULOUS blog is from Victoria, BC. I’m pretty sure by now you know all know that I was born and raised in BC (and miss it every day), so getting Kristy’s blog was like receiving a little ‘virtual hug’ from home, not to mention an insane amount of “must-make” recipes too! A few more little fun facts about Krsity and I’s Victoria connection: I was married not so far from where she lives, my Grandparents lived in Victoria during my childhood and I visited there often, CH’s Grandmother had a place right on the Harbour in Victoria and my best friend (“HI BART”!!) currently lives in Victoria (and don’t worry Kirsty – I emailed her all of your restaurant reviews!). So, by the title of this post you can guess what recipe CH chose: Curried Butternut Squash & Roasted Orange Pepper Soup, and it was for no other reason than the simple fact we picked up a beautiful butternut squash this morning at the market and he deemed this the recipe because of that – how’s that for excitement, lol. 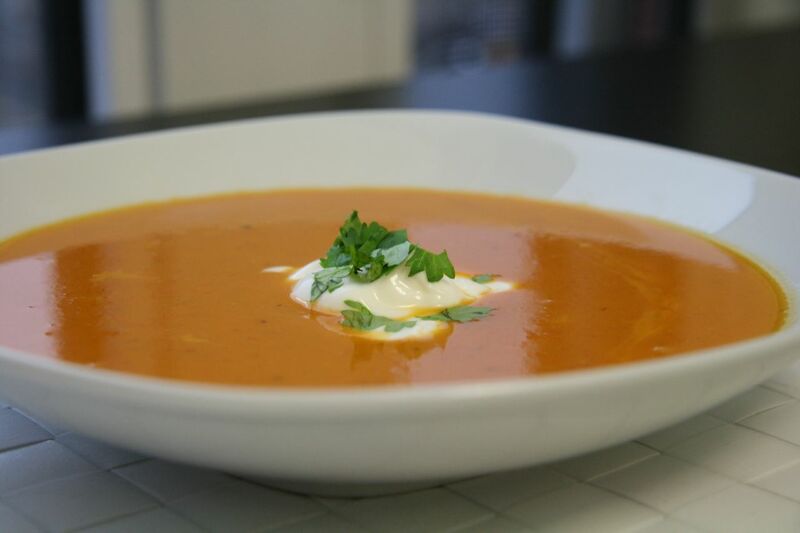 In any event, you can bet your bottom that the other recipes above will be featured on here in the very near future – not to mention this soup again (it was delicious and I can’t wait for work lunches this week – yay leftovers!). So, I should probably get to the recipe now…but let me just say it’s good to be back and thank you for sticking with me. Kristy – thank you for an amazing blog, for the inspiration to get back at it, and most of all for the little taste of home that I was missing so desperately. Chop the tops of the garlic off to expose the bulbs. Place on a piece of tin foil, drizzle with olive oil, sprinkle with S & P and then top with the rosemary. Roll up in the foil tightly and set aside. Place the squash cut side down in a roasting pan (or baking sheet) along with the whole peppers, onion, thyme, a generous dash of S&P and a couple TBSP of EVOO. Mix well to combine. Toss the foiled garlic onto the roasting pan. Place in the oven and roast 50 – 60 minutes or until everything is fork tender. Remove from the oven and allow to cool slightly. Remove the garlic from the foil & squeeze the pulp out of the casings. Peel the skin off the squash and mash a little into smaller pieces. Also, remove stem & seeds from the peppers – be careful, they are hot. 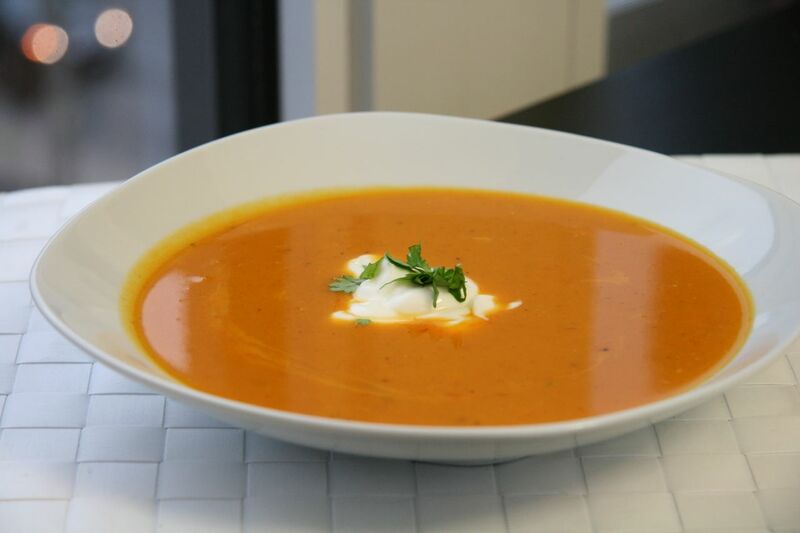 Place all of the ingredients into a saucepan (medium sized) and add the stock, ginger, curry powder, cayenne & white peppers and salt to taste. At this point, using a handheld stick-blender, puree the mixture until your desired consistency. (OR – you can place everything above into a food processor, blend and add into a pot). Serve with your favourite bread, crackers, salad etc. Recipe slightly adapted from Gastronomical Sovereignty. So I know what you are asking – where have you been? I respond: working 12 hour days, weekends, goodbye parties and oh ya, a week in Hawaii (that’s not so hard, eh?!). However, where I have not been is blogging or in the kitchen. And I’ve missed it, so so much. But, I am back and ready for the biggest baking/cooking season of all – Christmas – which is also my favourite time of year. I’ve already been over on Pinterest bookmarking more recipes than I can make (let alone eat! ), and I’ve already got one baking day booked with a girlfriend and I can’t wait. Anyways, back to the recipe. This month’s What’s Baking theme was “Savoury Treats”. I love savoury – popcorn, chips, french fries etc., but when it came to choosing a recipe for What’s Baking “Savoury”, I was stumped. I mulled over it for weeks, and then I finally came-up with an idea – SCONES! They are definitely a treat, I don’t make them that often at home, but they were perfect. They also really remind me of my Dad, as we share a passion for coffee and frequently had coffee dates downtown Vancouver when he was working on my condo, and they often included scones as a treat. I know he will love these, and I can’t wait to make these for him over the holidays. 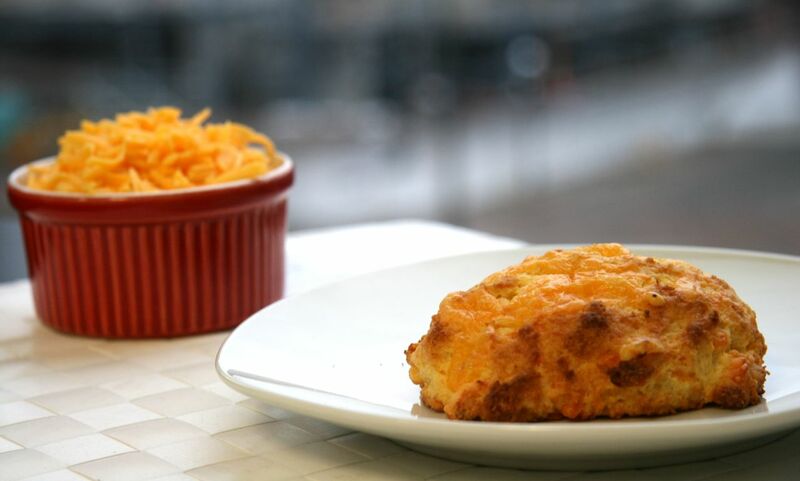 These scones make the perfect savoury breakfast, but they are even better for lunch with a nice bowl of wintery-soup (I have a great recipe coming tomorrow!). Aged cheddar definitely makes them more savoury, but I see no issue with using your favourite cheese – mild cheddar, Swiss, Gouda, Havarti – whatever your heart desires. Preheat the oven to 400˚ F. Line a baking sheet with parchment paper or a silicon baking mat. Using a KitchenAid standmixer or by hand, combine the flour, ½ cup of sugar, baking powder and salt. Mix briefly to blend. Add in the cold butter pieces and mix on medium-high speed until the mixture resembles coarse meal and the butter pieces are no larger than peas. Stir the cheese into the flour-butter mixture. In another small bowl or a liquid measuring cup, combine the egg, egg yolk and heavy cream; whisk to blend. Add the liquid ingredients to the standmixer with the dry ingredients and stir gently with over low speed, just until all the dry ingredients are moistened. Knead gently to be sure the dough is evenly mixed, being careful not to overwork the dough. There are many ways to shape scones, so do as you please. I use my hands and simply scoop up some of the dough, place it onto the cookie sheet, and pat down gently to create 1-inch thick rounds. Repeat with the remaining dough, placing the rounds 2-3 inches apart on the baking sheet. 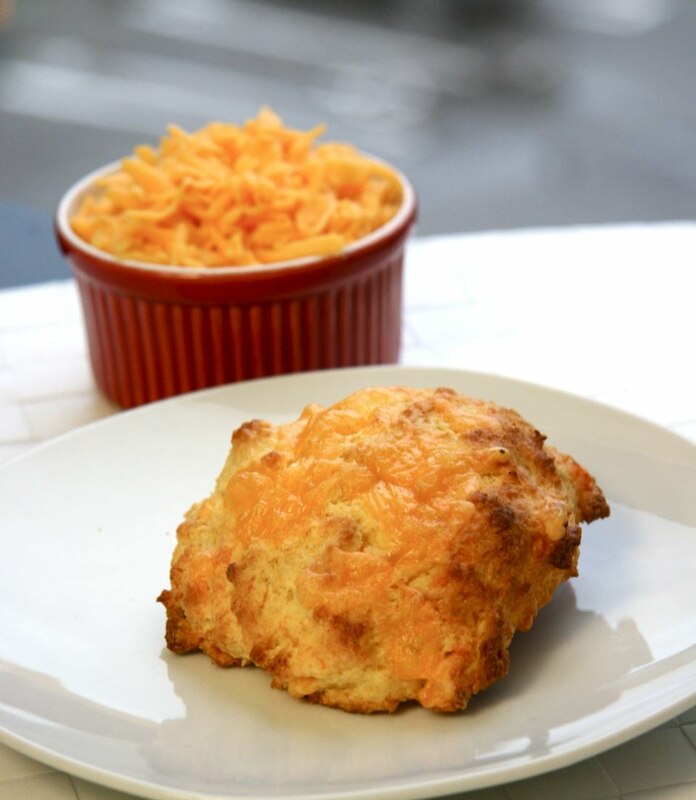 * Top each scone with a teaspoon or so of grated cheddar cheese. Bake in the preheated oven until light golden brown, about 15-20 minutes. Remove immediately and enjoy. Or, place in an air-tight container for enjoyment later. If you are having them the next day, I enjoy toasting theme for a minute or two, just to get them crispy again. *ANNIE’S NOTE RE: FREEZING: To freeze before baking, flash freeze at the point above where you see the ” * “. Place the baking sheet with the shaped scones into the freezer and chill until frozen. Transfer to a freezer-safe plastic bag and store until ready to bake. If baking from the freezer, add approximately 5 minutes to the original baking time.